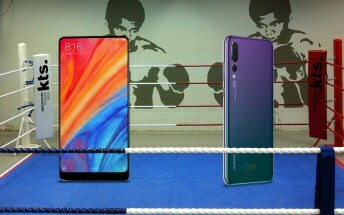 Well, we did not expect that – when we asked if you’re more interested in the Huawei P20 Pro or the Xiaomi Mi Mix 2s, we thought that surely one of the two will prevail. Sure, we asked a couple of days before the phones went official, but there we extensive leaks. Plus, the phones were unveiled this Tuesday, so you had plenty of time to change your mind. 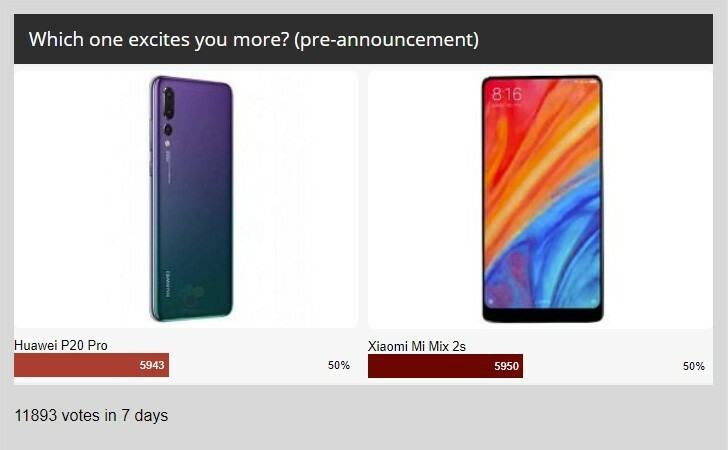 However, the phones remained of absolute even popularity – when we stopped the poll, the difference in votes was less than 10. That’s good news, we think. The Huawei P20 Pro is a camera monster with a notched screen and a hefty price tag. The Xiaomi Mi Mix 2s goes for thin bezels without a notch and good all-round performance at a more affordable price. Two different takes on a flagship, the two equally desirable.